The Fintan Stove has CE approval and is DEFRA exempt which means it can be installed anywhere, including smoke free zones like London. However you are not just limited to houses of bricks and mortar, you can install your Fintan stove in boats, log cabins, shepherds huts and even yurts! 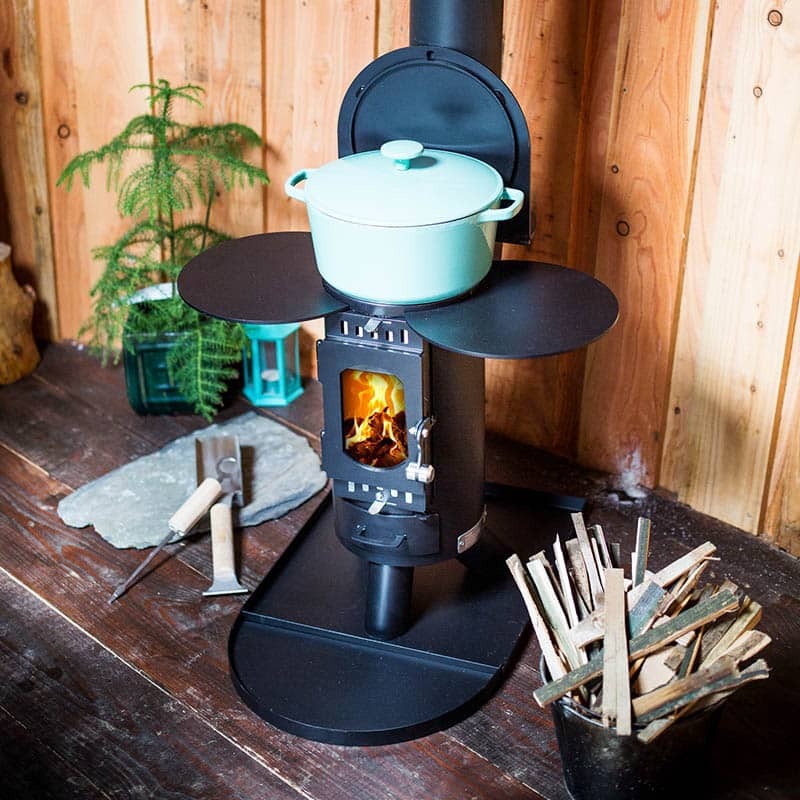 It is the perfect stove for the Tiny House Movement. A recent addition to the small stove market, this Fintan wood burner looks awesome. Made by the Cornish company Anevay, this gem will add warmth and a cooker to your smaller space! On display in our showroom.